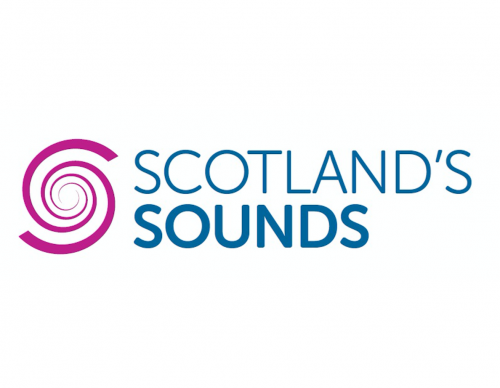 In 2016, the National Library of Scotland approached Local Voices to help promote Scotland’s sound heritage to young people as part of their ‘Connecting Scotland’s Sounds’ initiative. 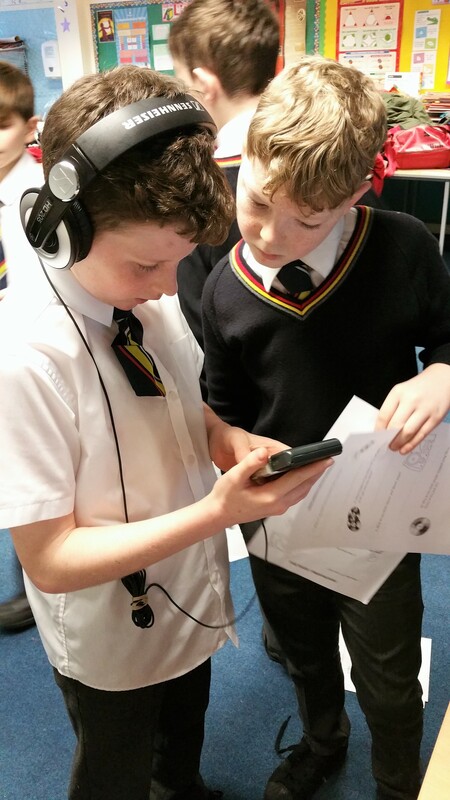 Our task was to find a way to engage schoolchildren in several different parts of the country in creative projects which would both highlight the rich history of our nation’s audio culture, and encourage them to think about the value of audio recording in the present day. 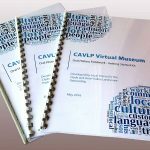 This is the first in a series of articles on the resulting project, named ‘Finding Our Voices’; below, we discuss our strategy and look at the first two workshops in the series, which saw children engage directly with audio materials and consider the premise of using recordings as a vehicle for preserving communal memory and tradition. The remaining articles each focus on a specific community we worked with during the project, demonstrating the way our model was applied in those particular places, the recordings involved and the creative works that the children generated. 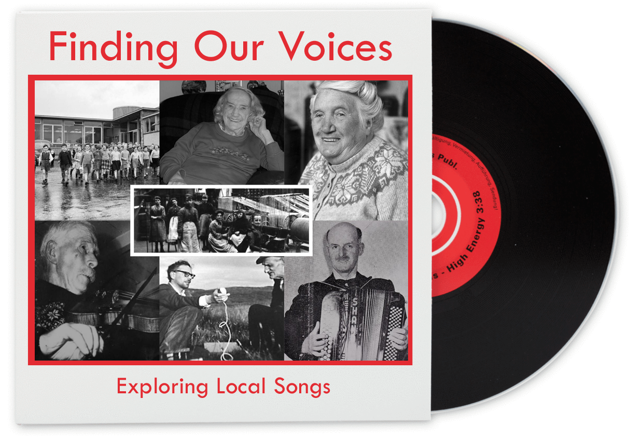 Our starting point was to adapt and update a workshop model which we initially developed in 2012, when we used archival recordings of local songs and singers to encourage children in Dundee and Arbroath to think about the value of the ‘local’ and everyday cultural practices. We refined our methodology and set out to fashion a series of weekly workshops which would initially give pupils a hands-on experience with older sound formats, bringing the history of commercial recorded music in Scotland alive, before focussing on the use of recording media by everyday people to document their own lives and ways, and reasons why they might wish to do so. 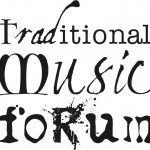 While the first workshops were very much geared towards looking at the technological changes and how they influenced availability of sound recordings through time, at their core there would also be the key idea of remembering. We used this as a springboard to move towards ideas of community remembrancing, shared cultural experiences and the concept of tradition. 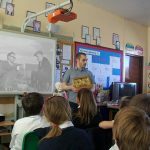 We aimed to work over the period of a month with one class in each school we visited, with two schools in Dundee, two in Arbroath and four in Fife. In choosing an age range to work with, we were conscious that the workshops would need to involve a wide range of topics related to the life of the community, and that this in turn demanded a certain maturity on the part of the pupils. Yet we also felt that primary pupils would be better candidates than high school students, given that they have a more singular group identity which does not tend to change with the subject they study, coupled with a dedicated teacher to support the learning outcomes we generate as a group. Additionally, smaller catchment areas gave more easily addressed definitions of the ‘local’. With all this in mind, we settled on offering the workshops to primary 5 to 7 classes. 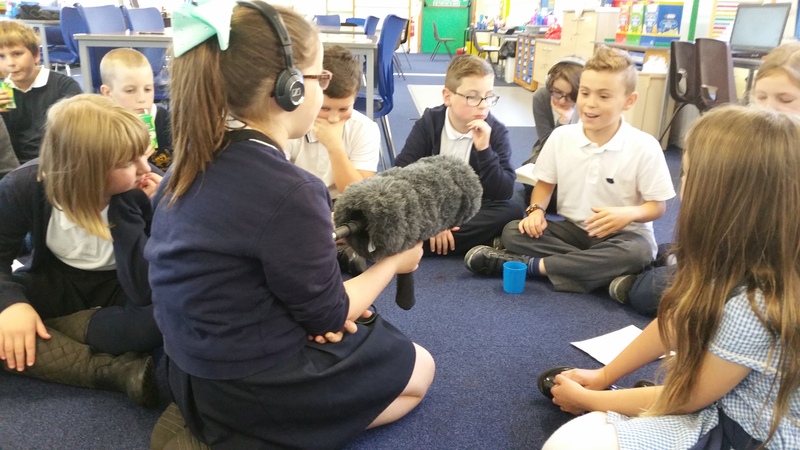 The real challenge with this project was to find a way to synthesise a narrative with the children that made sense when discussing both a) large-scale production and consumption of sound formats for popular culture, and b) local use for documenting oral history and folk culture. The products of the latter had by and large existed outwith the public domain in academia until the fairly recent advent of digitisation projects such as Tobar an Dualchais / Kist o Riches. 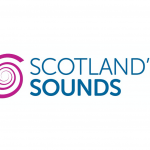 We chose to start with the history of commercial sound recordings in the Scottish context as a way to introduce the different sound formats, before going on to refocus on those media which were re-recordable as a lead-in to documentary recording of local culture. Our first step was to curate materials to be included in a ‘handling box’ – literally a box of material examples covering the major sound formats available to the Scottish population since the 1890s. We decided that the content of the materials should be Scottish performers to provide meaningful context and avoid abstraction. In some cases the featured performers had particular local relevance e.g. 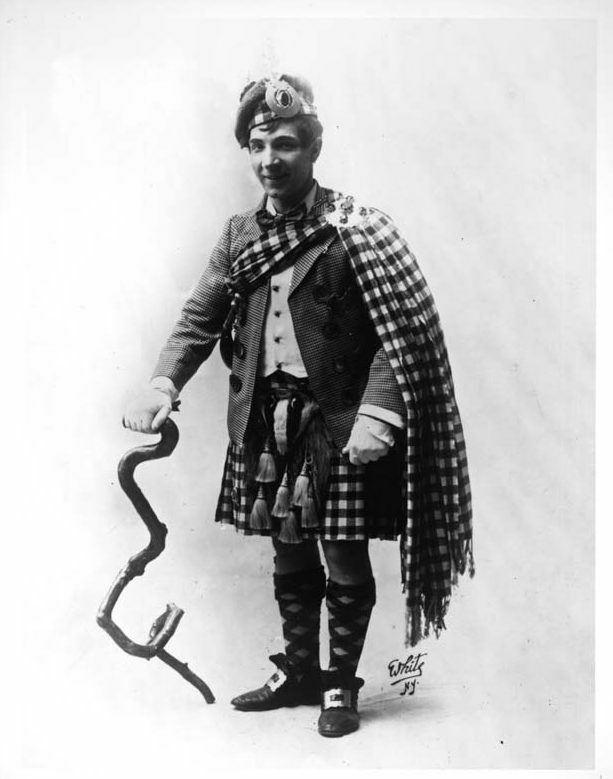 Harry Lauder had family links to Arbroath, and Jimmy Shand was from East Wemyss and later lived in Auchtermuchty, near some of the Fife schools, and had also worked a great deal in Dundee. Use of these recognisable ‘names’ were a key link to older family members between the workshops, helping the children to learn more about the kinds of entertainment that their own families would have enjoyed in previous generations. 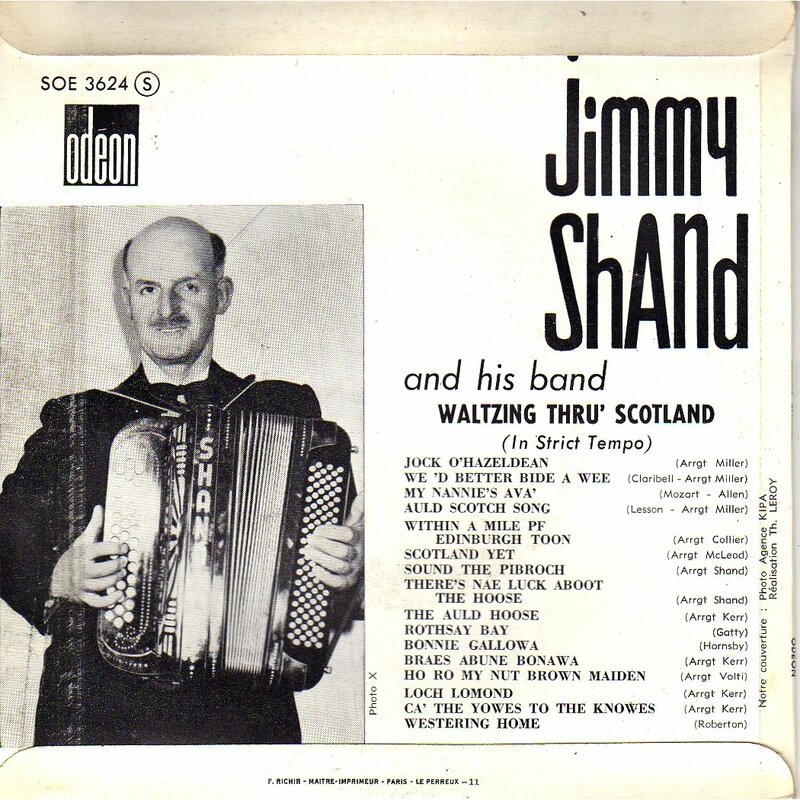 To that end, we acquired a number of wax cylinders of Harry Lauder, dating mostly from the first decade of the 20th century, as well as a number of 78rpm gramophone records of well-known Scottish dance bands and singers, including Jimmy Shand and Kenneth McKellar. Our selection of vinyl 33rpm LPs, 45rpm singles, 8-track cartridges, cassettes and CDs covered a range of musical styles from folk to pop, but all Scottish artists. We also included some of the less-commercially used sound formats, such as 1/4 inch reel-to-reel tape and even wire spool recordings which, although predominantly used in the USA, are found in some Scottish archive collections. Perhaps most interestingly to the children, the reel-to-reel tapes could be played back on a vintage reel-to-reel recorder which we donated from our own collection, as could the minidiscs and cassettes included in the box using players which we also sourced. Giving the players and sound carriers to the children ‘blind’, asking them to work out how to play the audio, was an interesting observation! A key connected question, planting seeds for later discussion, was also to ask how people might remember a song they had heard and liked. Most answers related to writing it down as well as recording it on to some kind of medium, but with the idea of remembering songs, we started to move towards the idea of tradition. Our departure point was the then-revolutionary ability to purchase a recording of one’s favourite music – which one might have heard in concert in the music hall – on wax cylinder at the end of the 19th century. In addition to handling the physical cylinders, the children watched a YouTube video of Harry Lauder cylinders being loaded onto a phonograph machine and played back. We discussed the basics of the technology, sound quality and the various pros and cons of this remarkable invention. 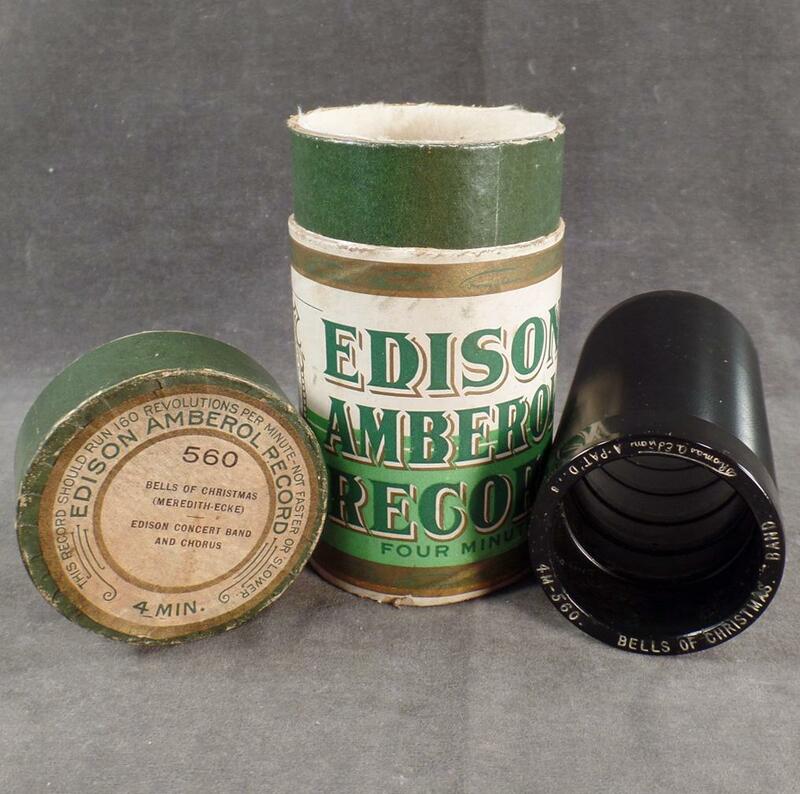 We also watched related videos of mishaps with wax cylinders, as well as a modern day recording project in which a musician was recorded singing and playing guitar directly onto wax cylinder. This left the children with a very good impression of the laborious process of recording and the real limitations of the format – mainly its short running time and the relatively small number of times it could be played before degrading – leading to the question of what improvements could be made by further innovation. As part of the process of considering various sound formats, and the logical reasons for their continued development, we looked not only at the physical attributes and limitations, but the key point that early formats had short time capacities. The process of moving from single-song cylinders to full albums and near-limitless digital storage media was an obvious path to follow to help children remember the progression of formats through the ages. 78rpm gramophone records made of shellac (a substance whose natural origin fascinated and horrified the pupils in equal measure) were presented as a successor to wax cylinders. 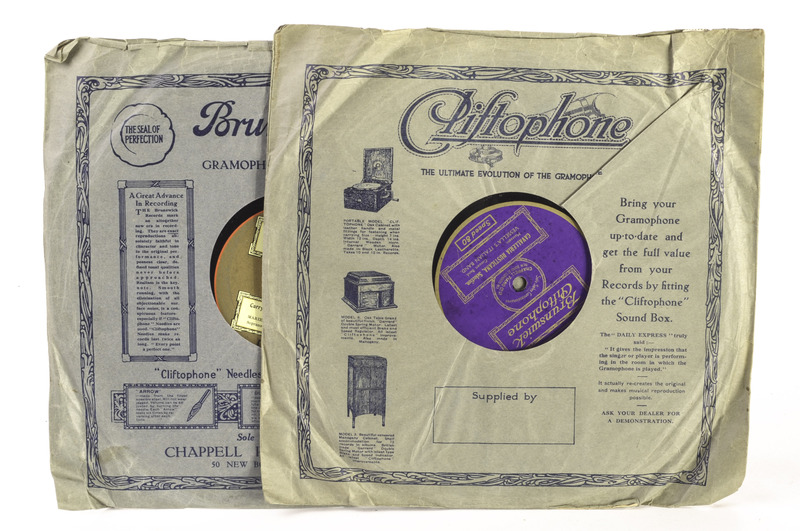 We looked at various examples from our handling box; labels such as Beltona, Decca and Parlophone, and many famous Scottish artists, including Kenneth McKellar, and Jimmy Shand. As with the wax cylinders, we watched a video of a Jimmy Shand 78rpm record being played on a gramophone [portability and cost precluded the inclusion of suitable player in the handling box], and discussed our thoughts on what benefits 78s offered over wax cylinders (greater recording capacity with two sides, two or more tracks, easier storage, etc), as well as shortcomings – their inherent breakability and propensity to become scratched or degraded through repeated playing. They don’t mend with sticky tape and glue! That’s my very best advice to you! We then turned to looking at vinyl records, with their much longer recording times and hardier format (they cannot easily be broken by dropping, for example), and where artists such as The Corries, Deacon Blue and The Proclaimers were represented in our handling box. Most of the children were familiar with The Proclaimers, but only very few had heard of any of the earlier bands. We had fun guessing what would happen if we played albums and singles back at the wrong speeds, and watched some examples of this on YouTube. 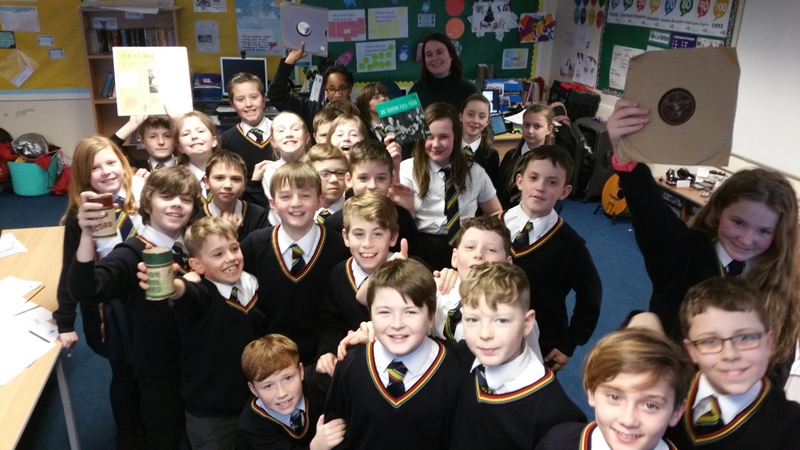 We then looked at and handled 8-track cartridges, cassette tapes, reel-to-reel tape, mini-discs, CDs and mp3 players, and discussed their relative merits and if/why they fell out of use. The pupils were then tasked to complete a hands-on exercise where they had to complete a worksheet with questions whose answers required them recall what they had learned and to look for solutions on the packaging and within the recordings themselves. Some of the answers even required the children to make simple calculations in their head – such as working out recording lengths from indications of tape length, and so on. These formats represented the majority of the ways in which commercial recordings had been published and consumed by the public in the past, but we then began reconsidering these recording media in the context of the second strand of our project – understanding the reasons why people would want to go to the bother of recording one another. 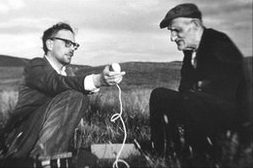 To elicit some possible answers from the children, we looked at folklorist John Lorne Campbell’s use of wax cylinders in recording the Gaelic traditions of the Hebrides and Nova Scotia, starting in the 1930s, and Hamish Henderson’s use of portable reel-to-reel recorders to document the song and stories of the Travelling people from the 1950s onward. 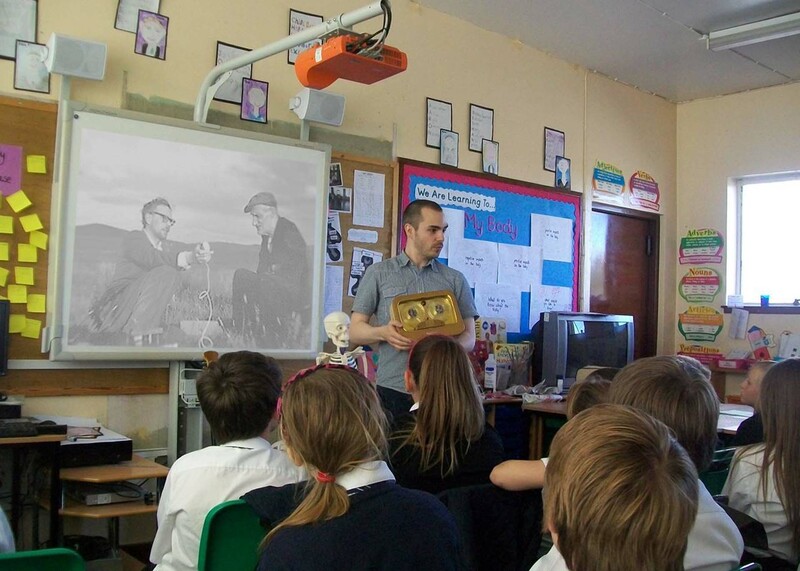 By this time, the children were able to recognise and name the technologies being shown in the images used. ‘to play their songs on the radio’. To home in on a more general answer, we looked at the traditional lifestyle of Scottish Travellers as a nomadic group with a remarkable culture of song- and music-making, and some of their craft skills, such as bow-tent building and making boats for pearl-fishing. The point was to emphasise the importance of traditional knowledge and its oral transmission, as well as its ability to flourish independent from institutional and book-learning. 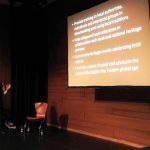 In this way, we arrived at an understanding of making recordings as a way of documenting traditions as practised by everyday people – or put more generally, as a tool for remembering the things which are important to communities. We discussed different types of information that might be of interest, such as oral histories and reminiscences, songs and music, rhymes and proverbs, customs and working life, weather lore, and so on, and compared and contrasted oral traditions with other ways of remembering, such as passing down material culture in the form of heirlooms and keepsakes, and writing things down for posterity. At this point, some classes were given a task to carry out a simple fieldwork exercise by recording one another using professional digital recording equipment provided by Local Voices. The idea was simple – ask your partner about something they appreciate about the place where they live. The children had been primed to think about this theme by filling out an A-Z sheet of things they found special, unique, important or enjoyable about their native areas. The process of recording one another was not only a fun exercise, but on listening back to the results the following week, the children were able to hear how they each held a unique piece of a group perspective on the character of the ‘local’ – a picture which emerged from the ways they corrected each other, chipped in with extra information, provided alternative experiences, and so forth. Other classes were asked to partner up and take on the role of storyteller and listener. In this exercise, the storyteller had to tell their partner a number of things about their own life and family, and the partner had to listen, and crucially remember what they had been told. The listener then had to be the storyteller, passing on the information to the rest of the class. 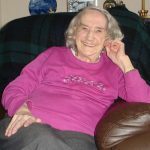 The exercise had been foregrounded by the telling of the workshop leader’s personal family story, with specific details to remember and the use of physical items to reinforce the impact of the story. (This is explored in the individual case studies). We feel this seemingly simple exercise is an important waypoint in encouraging children to revisit old skills that may be becoming lesser-used in today’s “just Google it!” age. The process of listening to their partner, giving that person’s story a value, and respecting their right to tell and share their story, is a small but important step in shoring up mutual respect amongst peers. These engagements by the pupils with one another was the first element in a deliberate workshop plan which saw them build up layers of personal meaning by spiralling out in focus from themselves as individual experiencers of the local, to the experiences of their peers, and then further out into their own families, their extended families, and then members of their communities, both current and known, and also past and unknown. In this vein, the children were then set a homework task which saw them go home and collect a kind of tradition from their own families – something that likewise spoke to a sense of remembering or preserving aspects of ‘the local’, either through currency within the family itself – a recipe, a memory, an heirloom, a song – or part of the wider community – a local legend, a local song, a memory of working life in the community, etc. The children were encouraged where possible to record these items using their smartphones or another medium. The findings were reported back by the children to the class during the next workshop, again kicking off a process of commentary by their classmates, identifying commonalities and divergences in their emerging communal memory. Some children’s families had working experiences in common – in the jute mills of Dundee, or the farms of the East Neuk of Fife, for example, while others had very singular memories which offered an important contrast. It was by this process of communal discussion – essentially a negotiation of elements considered important to remember – that the children learned how meaning is made and the past (both immediate and longer-term) is remembered as a function of the personal relationships they have with their immediate surroundings – their fellow classmates, their families, their school. This was an important first step for the children to achieve as a group, as it prepared them to make an intuitive leap into deriving personal and group meaning from the recorded oral testimonies of other people in their communities whom they could not have met before and would never meet in person – the voices of people local to their area, which had been recorded and stored in the sounds archives across the country. Aspects of these journeys, specific to each class and location, are covered in the remaining articles in this series. A crucial element of our approach is that ‘the local’ is defined not through a process of identifying exclusive principles which delimit insiders and outsiders, but through its natural emergence in aspects of conversation and memory. 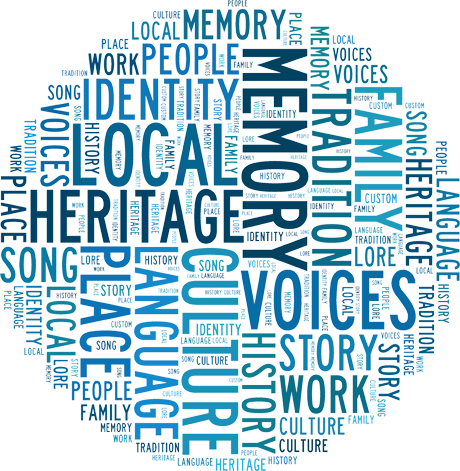 The Scots language, for example, is a significant element in our work, but emerges as a natural part of the cultural landscape through the spoken testimonies, songs and stories of the children, their families and the past and present community members we encounter in the course of our workshops, rather than being set out as a defining criterion of the local as we begin. This is important, as it suggests to the workshop participants a parity of respect with whatever other languages, dialects, and accents we encounter in the class and in the community at large, since we are giving equal voice to the experiences of whomever happens to constitute the workshop group. Likewise, by focussing on universal and simple connections to family, to peers, and to places of home and work, we help pupils build an appreciation for one another’s subjective, lived experience as deserving of equal respect and consideration. 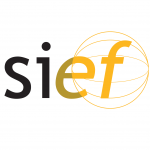 In effect, what this does is translate a common experience of living in the same place and attending the same school into a shared experience of expressing individual perspectives on the local. 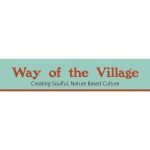 It is this aspect which binds the participants together in a social process of making meaning out of their experience of local life. 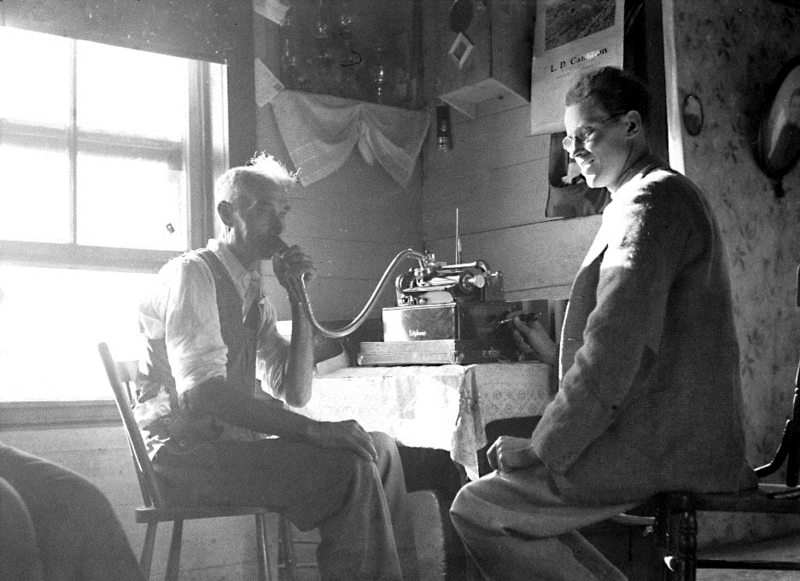 The centrality of audio recordings as a resource in these workshops emphasises their importance as a unique kind of historical document in which voices exert a power akin to (but still quite distinct from) the written word. If written language might be said to depend on interpretation by the brain first and foremost, with emotions elicited only once the mind has decoded and digested a sentence, we might say that, by contrast, an audible voice speaks to the heart first, and in doing so connects with the listener on a more fundamental, immediate level – something which gives it an unrivalled potency in speaking to the local. In particular, when children hear the sound of their own voices and that of their families given esteem through the medium of recorded, collected sound, their personal and collective confidence grows.